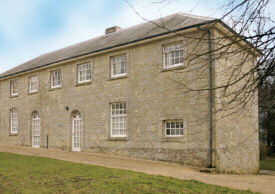 For large groups Coach House (sleeps 7) and Retreat (sleeps 2) are next to each other. 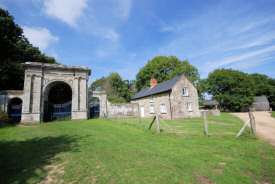 They are situated in the 11 acre grounds surrounding Appuldurcombe House. We rent Friday to Friday, weeks only in high season, short breaks available offpeak. Pets are allowed in the Gatehouse and Coach House. Situated in a most idyllic country setting surrounded by fields. A short walk to Godshill with stunning views in all directions. Private garden. 2 Bedrooms. The Gatehouse has had a full refurb with new flooring and furniture throughout . Please note now has kingsize bed . 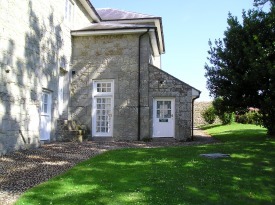 Situated in the grounds of Appuldurcombe House. 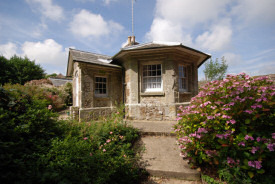 Charming and stylish accommodation in the grounds of Appuldurcombe House.